Arizona mother Aprilli Coumpy is still fighting to get her five children, ages 2-17, back from the state. We published her story a year ago. 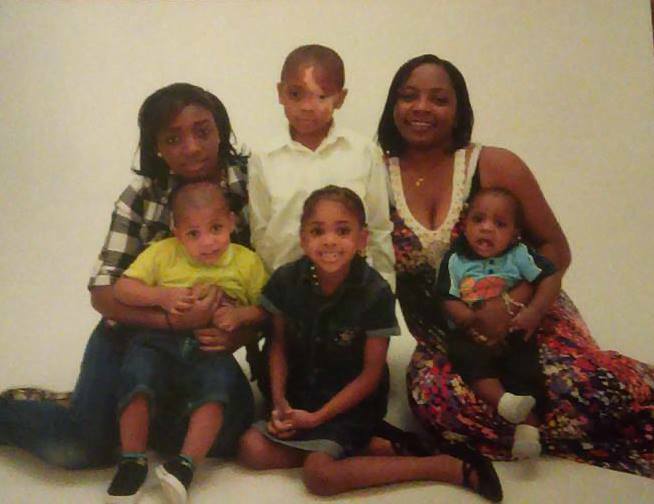 Her children were taken away by the state of Arizona after her baby was accidentally burned. Her 6 and 7 year old daughters wanted to fix breakfast for their tired mommy and surprise her. They accidentally spilled some of the noodles onto the baby’s leg. The second degree burn was reported to child protective services by a day care worker the next day. When the burn occurred, Aprilli called her pediatrician’s office and followed the nurse’s instructions for dressing it. She also scheduled a follow up appointment with the doctor according to the nurse’s instructions. The day care worker decided to take the baby to a doctor on her own and CPS swooped in taking all of Aprilli’s children into foster care for two years now. I am sorry. Please contact me on Facebook. Faith Loveland (pic of lion). We are forming a coalition to expose and stop CPS.